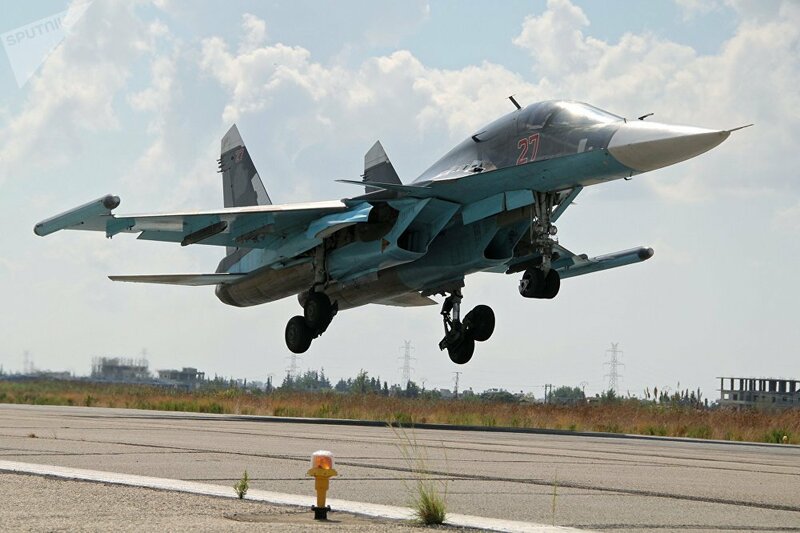 When Kitty Hawk released their Su-34 Fullback last year, there was one prominent omission from the kit, that being the wingtip ECM pods. That omission made it impossible to accurately reproduce at least one of the included marking options. 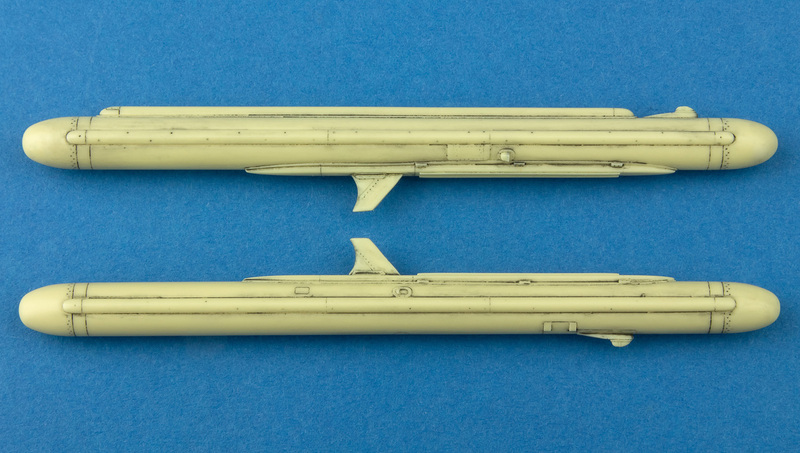 Kitty Hawk later addressed that issue by revising the kit to include a pair of resin pods (see part one of the build review). If, however, you've got an early edition of the kit without the pods, or if you want to upgrade the KH resin versions, there's now a new set of resin pods available from Zactomodels. 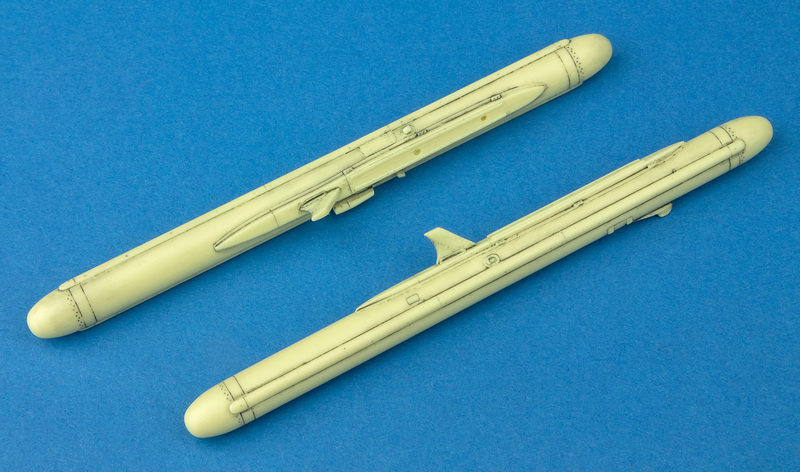 The set includes the two pods together with some associated details, and is designed to fit both the Kitty Hawk and HobbyBoss releases of the Su-34, in both cases requiring minimal alterations to the base kit. 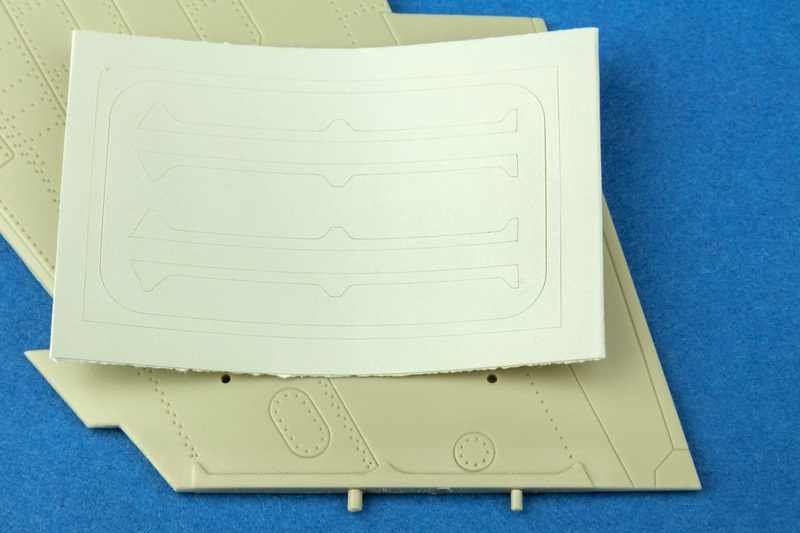 In addition to the pods themselves, you get an alternate pair of nose cones to represent more recent versions of the pods, a small etched fret holding a pair of anti-flutter fences, a pre-cut self adhesive vinyl sheet carrying the wingtip stiffeners which are required for the HobbyBoss release, and finally the instruction sheet which, although small, is very comprehensive, supplying all the information needed to both fit the pods and to choose the appropriate optional parts. The alternate pointed nose cones will require the original rounded ones to be removed from the pods with a razor saw. Again, not a difficult task as it's a straight cut, and a little filler and sanding will finish the job. 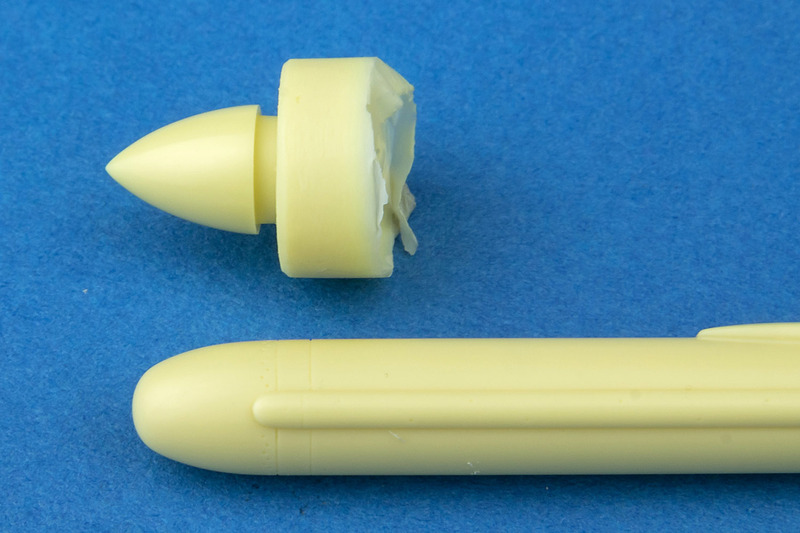 According to the information on the instruction sheet, the pointed cones feature on updated pods from mid 2018 onwards. As is usual in these instances, you'll need to check references for the particular aircraft you're building, but this should allow you to represent even the most up-to-date pods. I haven't found many photos of Fullbacks carrying pods with the pointed tips, but you can see them fitted to red 27 in the shot below. 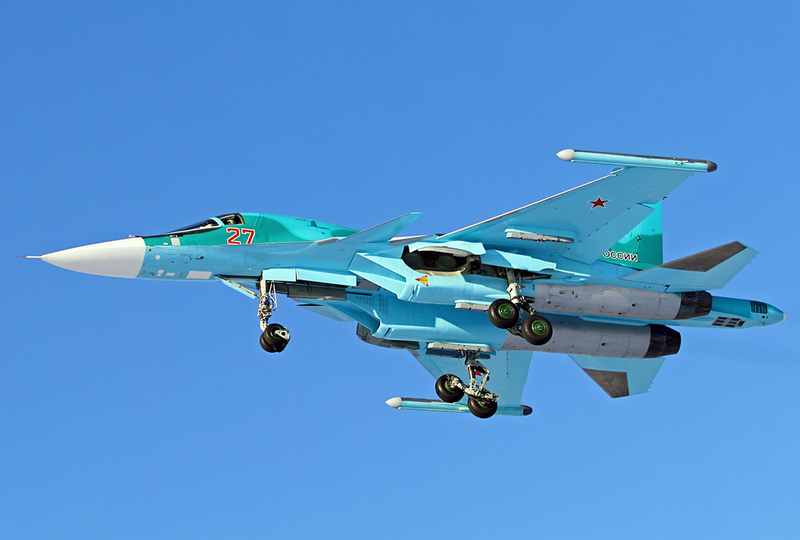 Interestingly, the pods here look to be finished in dark aubergine grey while the aircraft itself is finished in the three-tone blue/green camo. 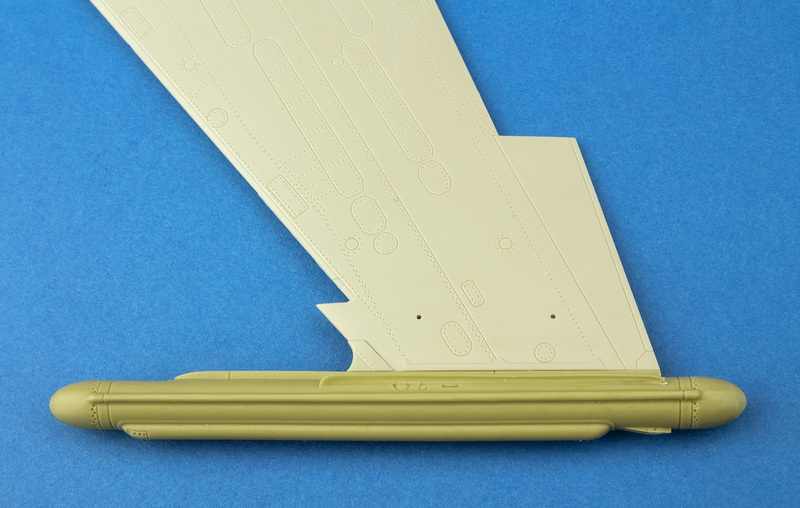 The pre-cut vinyl sheet supplies the stiffening ribs for the wing tips. These are included for use with the HobbyBoss kit which lacks these elements. 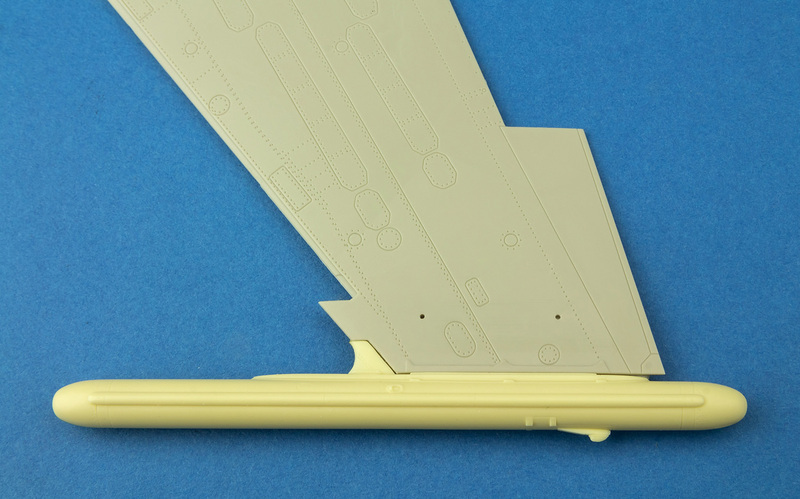 The Kitty Hawk wings have the stiffeners moulded in place, so don't require the vinyl options. The photo etched fret supplies the anti-flutter fences that were added to the pods from mid 2015. 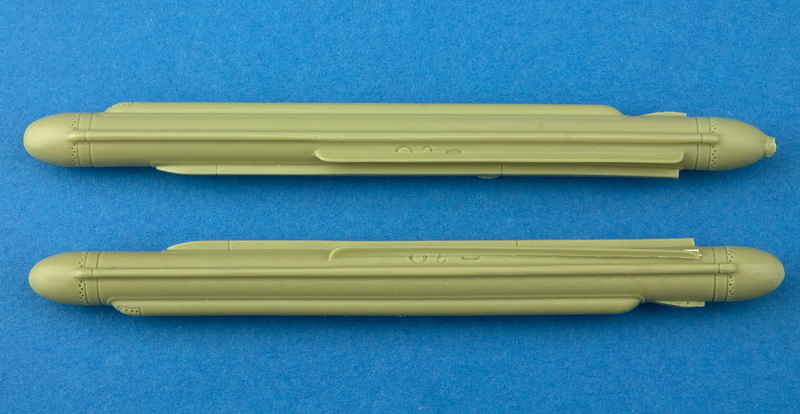 These will require a simple right-angle fold along their length and are then attached to the upper rear of the pods, all of which is clearly shown on the instruction sheet. By contrast, the Kitty Hawk resin pods have the fences cast in place and look a little crude in comparison to the Zacto PE ones. They're also quite fragile and one of mine has already started to split away from the pod. 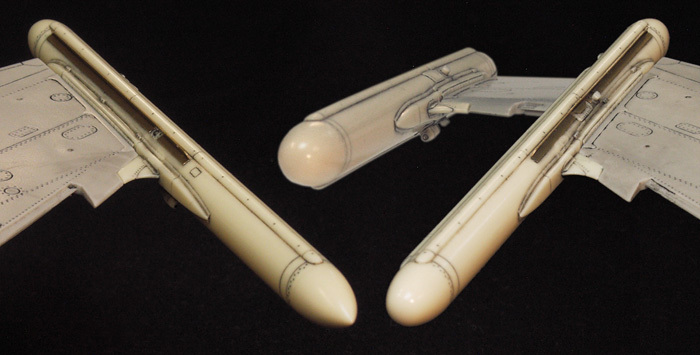 Since I've got the Kitty Hawk pods to hand, I'll do a direct comparison between those and the Zactomodels alternatives. Starting with the KH versions, these have nice, albeit basic, detailing although the rivet detail is a little over pronounced. 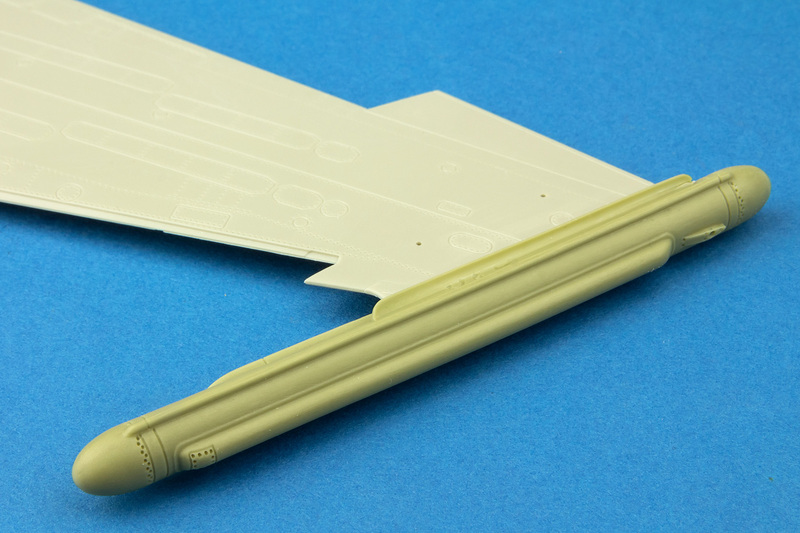 They fit directly to the kit's wingtips without any modification and you'll need to use the curved leading edge fillets that come with the kit. To fit the Zacto pods, in the instructions recommend slightly shortening the two mounting pins on the wingtips, although in my case I did the opposite and drilled the corresponding holes on the pods a little deeper. Either way will work fine. 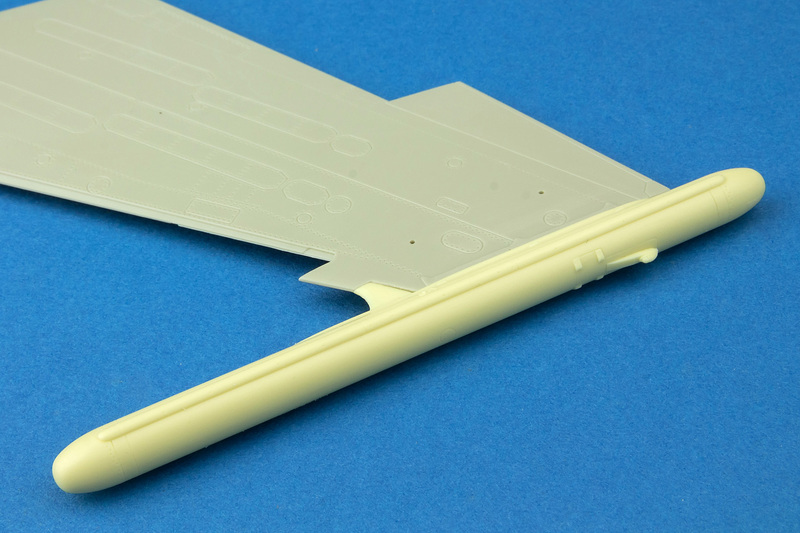 Apart from that, they fit perfectly to the Kitty Hawk wings and, since the Zacto pods incorporate the curved leading edge fillet, you won't need to use the kit part. The detail on these is far superior to the KH versions with very finely engraved panel lines and rivets (difficult to see here, admittedly). 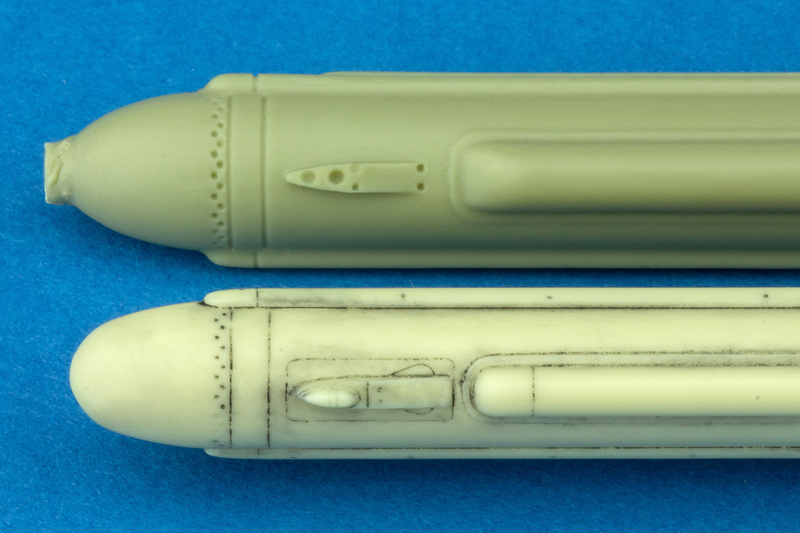 With a little black wash added, the fine details on the Zacto pods are easier to see. What you should also be able see in this shot is that the two pods aren't identical. 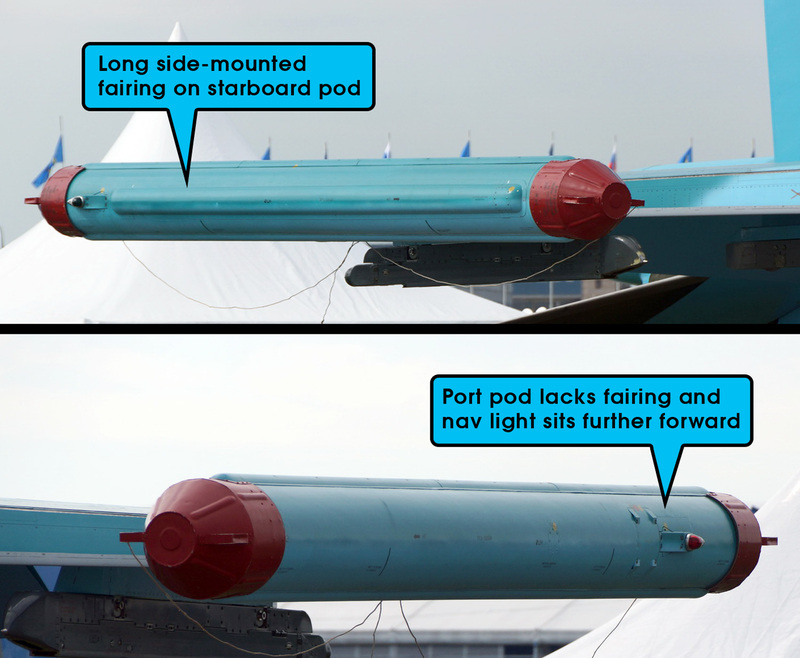 The starboard pod (top in the photo) has a fairing running nearly the full length of the side with the navigation light immediately behind it. The port-side pod lacks the fairing and the nav light sits further forward. This arrangement is accurate to the real pods as can be seen in the photo below. By contrast, the two Kitty Hawk pods are identical with both featuring the bulged fairing running along the outside edge. To make these accurate, you'd need to completely remove the fairing from the port-side pod and then re-position the nav light, an operation that would require a lot of work and subsequent clean-up. Viewed side-by-side, the Zacto and KH pods are broadly similar in general shape and size. The Zacto pods are marginally shorter in overall length, but only by a couple of millimetres. The finer detailing on the Zacto pods (note the small intake above the wing fillet, missing form the KH pod) makes them feel far sharper and in-scale than those from Kitty Hawk. In close-up, the more refined panel lines and rivet detail on the Zacto pods are clear to see. These feature the nav lights cast in place, whereas the KH pods have a separate clear part for the light. Not a significant difference really, but if you wanted to use the KH clear lenses on the Zacto pods it wouldn't require much work to do so. 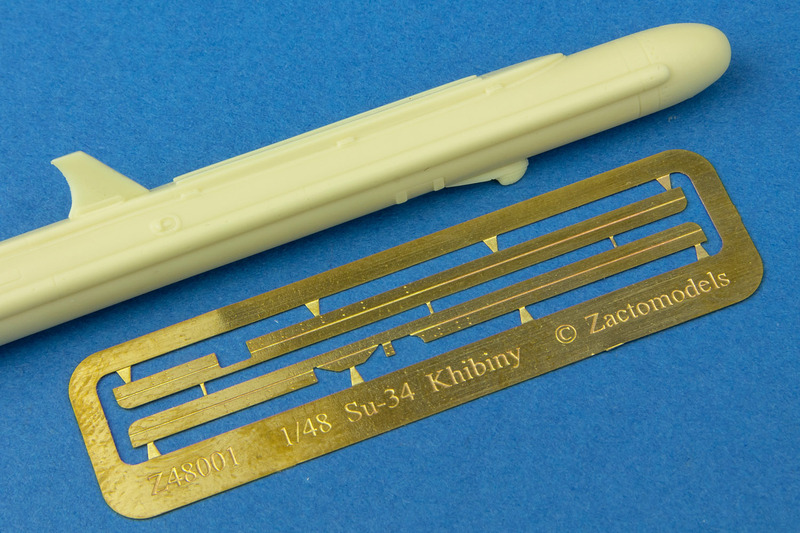 So, are the Zactomodels Khibiny ECM pods a worthwhile update to your Kitty Hawk or HobbyBoss Fullback? 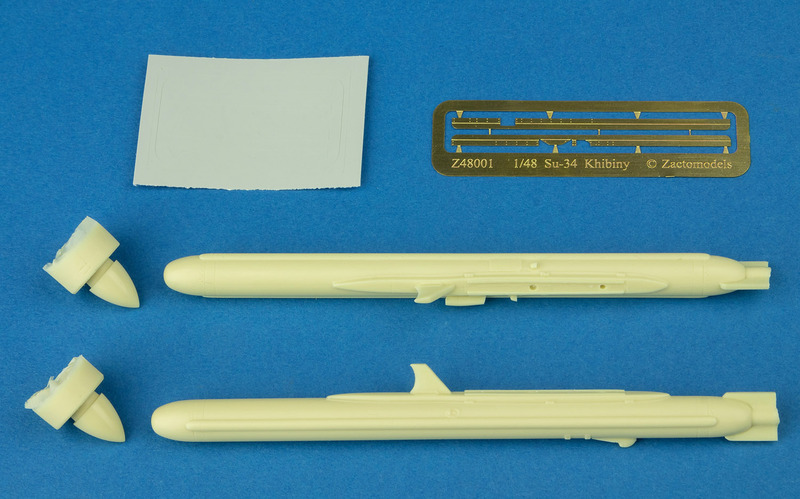 Well, if you have an early boxing of the KH kit which doesn't include the extra resin accessory set, you'll either have to source that set direct from Kitty Hawk or go for the Zacto set. To me, the obvious extra detail and accuracy of Zacto's release makes this a simple decision. If your KH Fullback does include the resin pods, then you may well feel that they're good enough for your requirements. 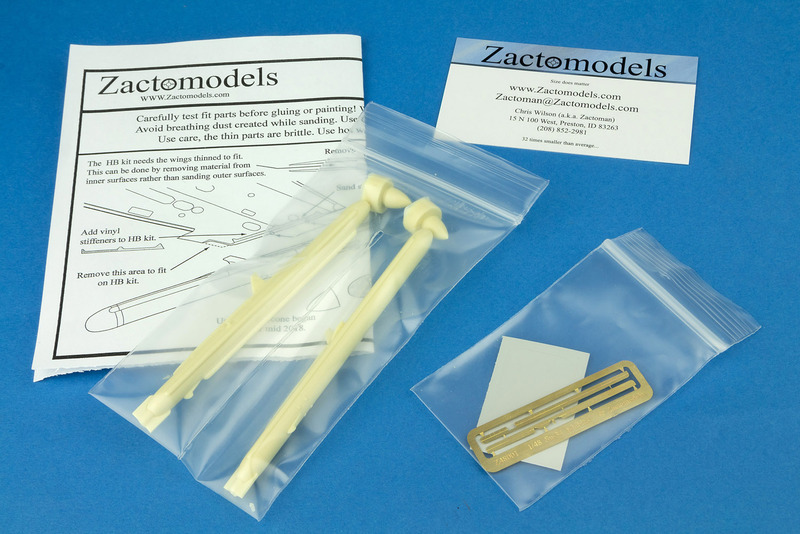 Hopefully the review will have shown you what you'd be getting with the Zacto set, and you can decide for yourself if you want to invest in the extra realism that the set will bring to your model. I don't have the HobbyBoss release of the Fullback, so I can't really comment on how well the Zacto set will integrate with it. However, I'd fully expect it to bring all the benefits to the HB kit that it does to the KH one. Overall, this is an excellent upgrade set and I'm looking forward to using it on my own Su-34 build, more of which will be coming to these pages soon. Thanks to Chris at Zactoman for sending these to Andy to review and use on his Kittyhawk Su-34 build..